Caviar Perle Noire is a Périgord Noir region human heritage where gastronomic tradition is passed from generation to generation. Caviar Perle Noire is a nature heritage where high mineral wealth soils give the waters their exceptional natural quality. The exceptional environment of its sites distinguishes Eyzies de Tayac Caviar Perle Noire, by the quality of its farming and manufacturing. 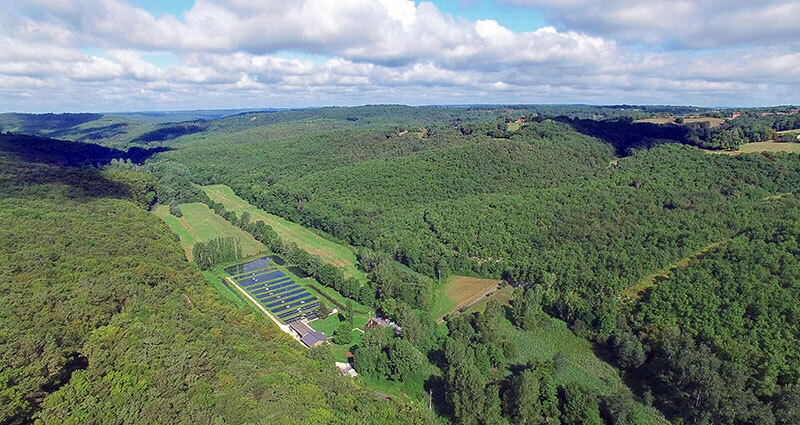 After a 10 years experience in Maine et Loire, we settled in 2007 in Périgord Noir inside a Natura 2000 area. 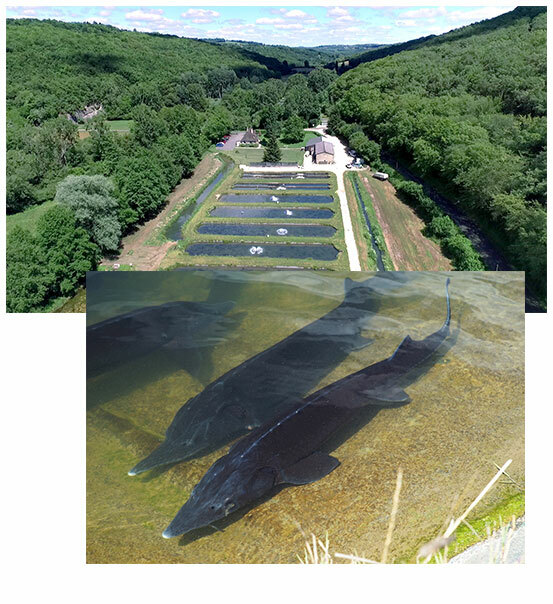 We introduced in this trout fish-farming Siberian species sturgeons (Acipenser baerii). Recirculating system ponds are fed from a small stream, La Beune, whose fresh, clear and hard water is classified in the first fish-farming category. Rich in minerals particularly in calcium, it allows preventing parasite and slightly earthy tastes. Water temperature allows a slow maturation of the fish as well, ensuring thus an optimal egg quality. Furthermore, our sturgeons are farmed at low density and benefit from a feeding free of GMO, antibiotic, or bone meal other than fishes coming from responsible fishery. Diseases and so curative treatments are consequently absent. This natural heritage and our French know-how confer all its gustative personality to our Caviar Perle Noire: alliance between subtlety, strength and long finish.